Studying abroad? As exciting as that is, it can also be intimidating. Staying connected abroad with your family and friends will help make your transition to this new adventure much easier. (And it will help your parents’ peace of mind.) Luckily, it is easy to stay in touch these days. You’ve got options that aren’t crazy expensive and that will fit your needs. Do you have a GSM phone and is it unlocked? Because most international countries have adopted the GSM network standard, you are going to need a GSM cell phone. Fortunately all Smart phones are, and you can simply switch out the GSM SIM card. Here’s a video clip to easily show you how to do this with an iPhone. Does your phone carrier offer an international plan? Not all phone carriers offer an international plan. If yours does, make sure you read the fine print on what is covered or not as you don’t want to get hit with exorbitant data roaming charges. What services do you want – local calling, calling home, texting and data, or a combination of all? If a combination of all is important to you, you should look into renting or purchasing a global phone or global SIM card – they offer these features in low-cost plans. If you need an Internet data connection for emails, GPS, your favorite apps etc, consider renting a pocket WiFi with unlimited data for only $99/week. If your study abroad program is in Europe, you’ll receive a European number (U.K.) for local calls and a U.S. phone number so that your friends and family back home can call you without incurring any additional charges. If you are only studying for 1-2 weeks abroad, you might consider renting a phone. 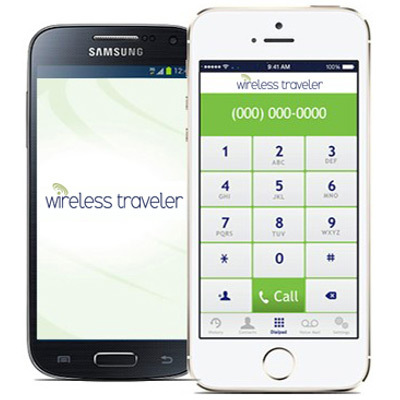 You can rent a basic cell phone from Wireless Traveler for as little as $25.00 for up to 2 weeks plus whatever prepaid airtime you would like. This is a cost effective way to stay in touch with family and friends. 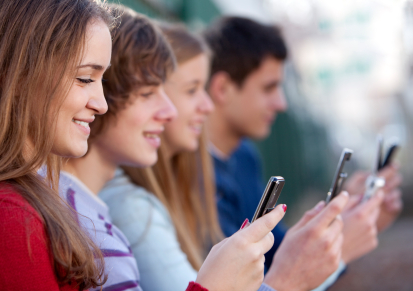 If your study abroad program lasts longer than a couple of weeks, it will be cheaper to purchase a global cell phone. You can purchase an international phone from Wireless Traveler that works in over 200 countries for as low as $89.99 plus prepaid airtime. As there are no contracts unused airtime is valid for up to 14 months. Another thing you don’t need to worry about is what happens if you lose your phone. With Wireless Traveler, you can call or email our customer service and we will immediately block your account to avoid unauthorized use. You can then order a new phone or SIM card and it will be shipped to you and your account balance will be transferred.